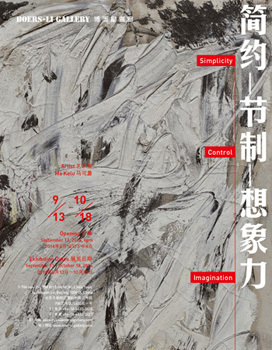 Boers-Li Gallery is pleased to announce the opening of first solo exhibition of “Ma Kelu: Simplicity - Control – Imagination” on September 13th, 2014. This exhibition features his works over the years between 1972 – 2013, and highlighting his abstract paintings from the 1980’s. Ma Kelu (born 1954) was one of the "Un-official" artists who developed a rather innovative artistic career independent from the official Chinese art practice during the years of the Cultural Revolution and in the late years of the 1980s. First, as a member of the "No Name" artists, Ma Kelu pioneered the frontiers of modern "abstract" experiments. In 1988 he first moved to Europe and then to the United States, it was only 20 years later, he returned to China to continue making abstract works. His works are highly elaborate in their kind and are among the most representative of his generation. This exhibition " Simplicity - Control - Imagination" presents the different stages of the artist’s process of mastering and purifying the image, with a focus on his groundbreaking years of the 1980s, the works shown are the most vital and significant pieces that define the artist’s career. Ma Kelu, an admittedly self-taught artist who launched his career in 1970 with what is called "plain-air" oil painting – close to impressionistic variation of landscape painting. He shared this style with other members of the "No Name" group, who were active as such until the early of the eight’s ties. Over those years, Ma Kelu searched for an artistic interpretation constructed on color and form, what in his conception constitute as the basics of painting. Every single step towards his abstraction was small yet critical, cumulative to making a major leap and steering his practice towards opening up to an unprecedented and adventurous direction. Ma Kelu reduced the impression of a landscape to a loose pattern of limited sets of colors. As one of the few artists who endeavored in such practice at that time in China, he didn't want or have to draw any references from a commonly shared reality. The pure existence of his canvas and his oil paint was the reality he was interested in. Within these limitations he found the boundless world of universal abstraction. Before what is now known as the period of the “85 New Wave Movement”, Ma Kelu focused on a working process that could make the image more apparent in its production of “meaning” through abstraction. To pursuit such a language was not something that spoke for itself in those days. On the contrary, it only could take place secretively and hidden from any form of public discourse. It is in these years that Ma Kelu laid the foundation of his career. Under the influence of his new environment in New York he found an even more convincing approach in painting monochromatic images. The painting became a multi-layered image, rich in its surface and singular in its color: ready to set free the aesthetic experience and at last, his and his viewers’ imagination. In the years since his return to Beijing, he found an abstraction that went beyond a formal color field approach into a lyrical direction, revealing a more emotional layer of “pure” painting. Both his former artistic phases - the impressionistic and formal abstraction - were fused into a convincing, innovative and unique genre of what truly defines contemporary art. 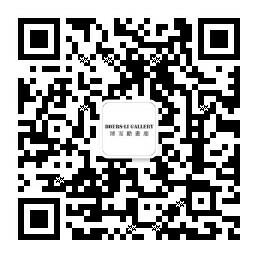 This makes Ma Kelu's work, like some others from that generation "Pre 85", extremely relevant for today's appreciation and understanding of contemporary Chinese art. In a time when abstract art is (re)discovered by a younger generation of artists, His work, old and new, shows how strong and deeply rooted abstract art is in the mindset of the contemporary.